Expecting or have a little one? 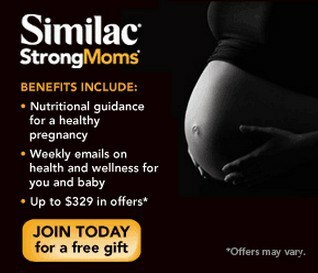 Be sure to join Similac StrongMoms! They have tons of great freebies and coupons they send out during your pregnancy, like a pregnancy journal from Shutterfly. Plus tons of great freebies and coupons for your little one once they arrive. When you sign up you will get up to $329 worth of free gifts and coupons! You will also receive nutritional guidance to help you stay healthy during your pregnancy and weekly emails about baby! Be sure to share this great offer with other friends with small ones or who are expecting their first!